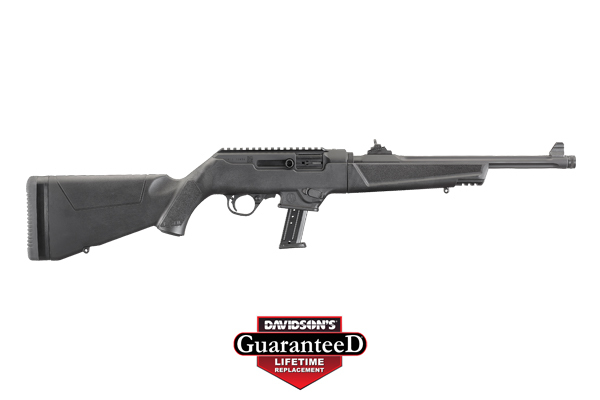 Has anyone obtained a Ruger PC Carbine yet? I'm thinking about getting one, but since I already have a Kel-Tek SUB-2000, and 1 or 2 more 9 mm carbines, I'm wondering if I really should add this one to the herd. I like the looks of it and I like how it will accept Glock mags and breaks into two parts for transport, but the Kel-Tek folds in half and is quicker to bring into action from the folded position. Anyone shot one? If it's a Ruger, it should be pretty accurate. Like I said, I'm wondering if I can justify getting it....? It’s on my short list but haven’t bought one yet. Based on the ones I’ve handled I like it better than the KelTec and the Beretta Storm. As far as 9x19 pistol caliber carbines go the CZ EVO Scorpion would be my other choice but it’s more expensive and doesn’t take Glock mags. I have had one for 6 months,very well made,accurate, a little heavy,not bad,I use the glock mag adaptor. I hear they are going to have other mag adaptors in time,like Beretta 92 ect.even caliber conversions.i really like mine and would buy another no problem. I looked at one and bought the SUB-2000. Faster into firing mode was the deciding reason.